Explore the beauty and allure of Jodhpur, India while also savoring Exclusive Complimentary Perks and a 3rd Night Free when booking your stay at Umaid Bhawan Palace across WhataHotel!. This stunning resort captivates guests with 26 acres of beautiful gardens, home to colorful peacocks, as well as 75 comfortable guest rooms and even a 105 foot cupola that adds natural light to the long and extravagant corridors. Travel to this desert capital where colorful bazaars, charming people and a splendid culture await alongside the palace's lavish interiors and acres of green grass. 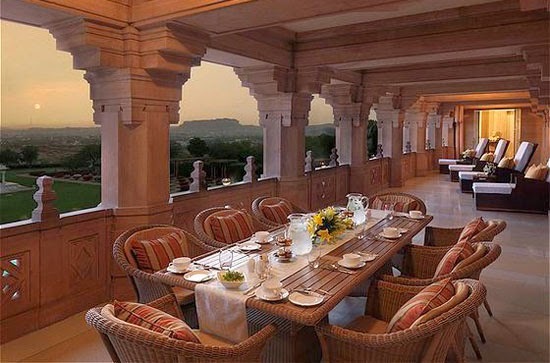 Perched above the city of Jodhpur, sits Umaid Bhawan Palace. It was designed by the famed Henry Lanchester, who built this palace by blending both eastern and western architectural style in perfect harmony. The captivating cupola in the centerpiece of the palace and was influenced by Renaissance craftsmanship while the towers that frame the castle are an inspiration from Rajput tradition. While a section of this palace is still home to the royal family and another part is a magnificent museum, visitors are able to stay in style in the ultra-chic guestrooms and suites. The Art Deco style accommodations are dazzling and feature all of the necessary amenities for an exquisite stay. Throughout this hotel guests can enjoy a variety of activities including a museum tour, billiards, yoga, shopping and the option of taking a dip in either the indoor or outdoor pool. The indoor pool is a fan favorite, called the Zodiac swimming pool, and is located underground next to the onsite Taj Jiva Spa. The spa facility is a treat for all, featuring a serene space that is sure to connect with the stillness within each guest. 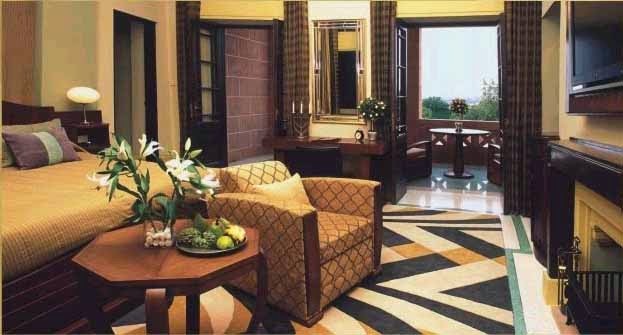 All treatments utilize pure precious essential oils and have been recreated from the fabled lifestyle of Indian Royalty. 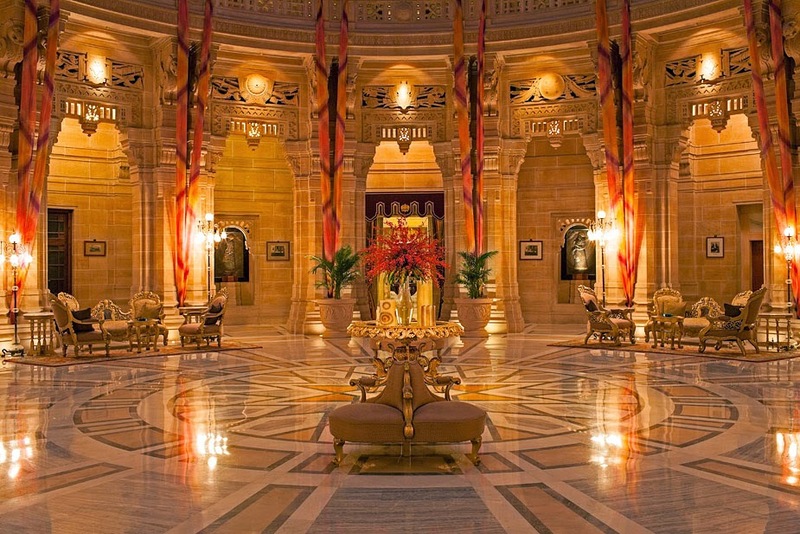 The dining experience at Umaid Bhawan Palace is simply fabulous and considered by many to be a "glorious indulgence". Guests can decide between having a casual meal or enjoying a bit of fine dining. There is also the cozy lounge which is the perfect spot for a drink and a light snack. The extensive wine list alongside an inspiring cocktail menu offered here will ensure each guest experiences a true happy hour. The top-notch staff and palace butlers strive to make your stay terrific both on and off the hotel grounds. Ask about the exciting activities and sites that await you outside the palace walls or just sit back and relax in the comfort of the hotel, both options are sure to be extraordinary. 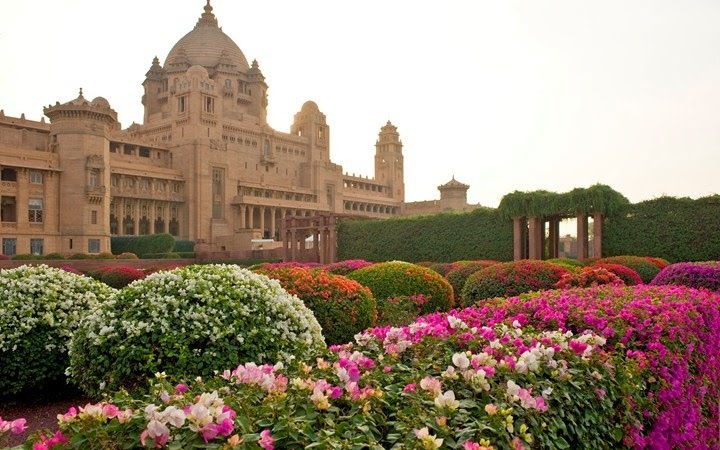 Travel to the desert city of Jodhpur, and stay at the incredible Umaid Bhawan Palace, where luxury and extravagance await your arrival. Book your accommodations at this breathtaking hotel across WhataHotel! for a deal too good to miss!